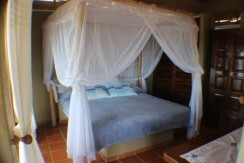 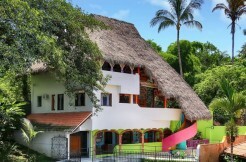 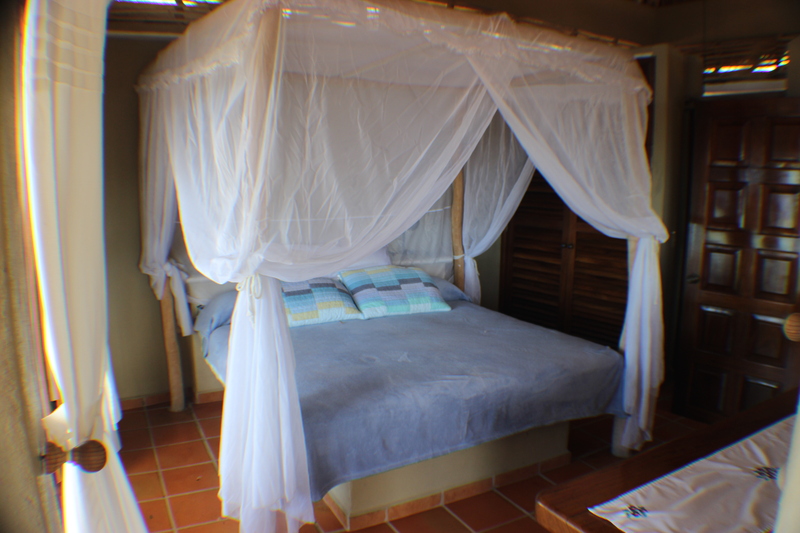 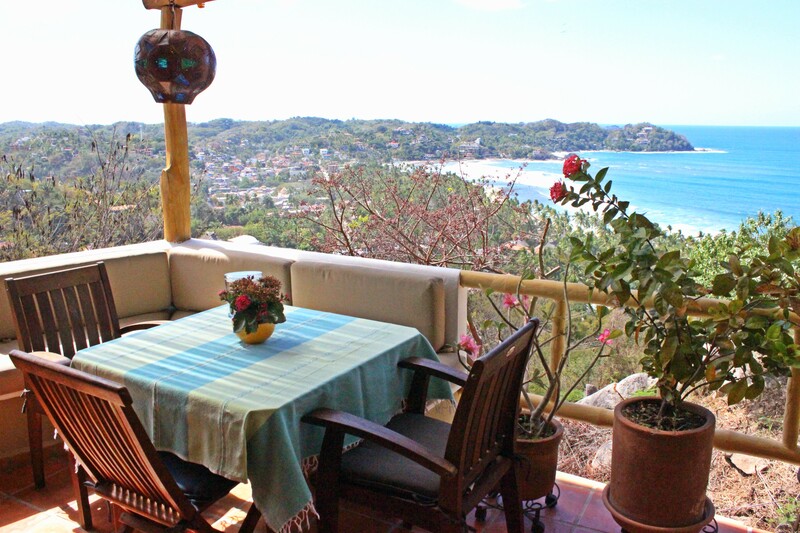 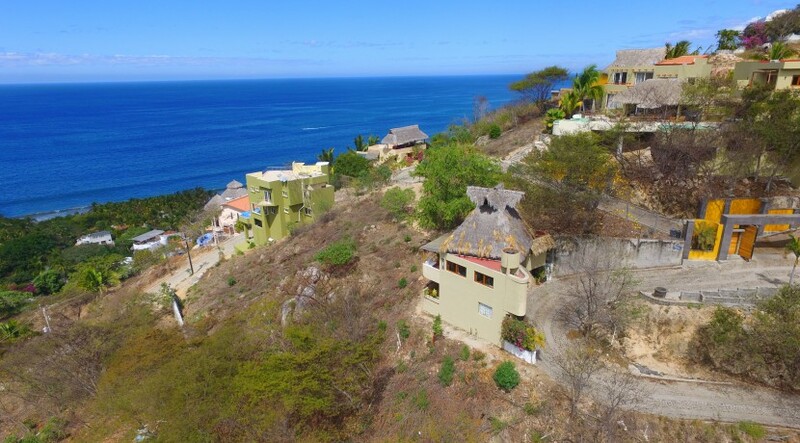 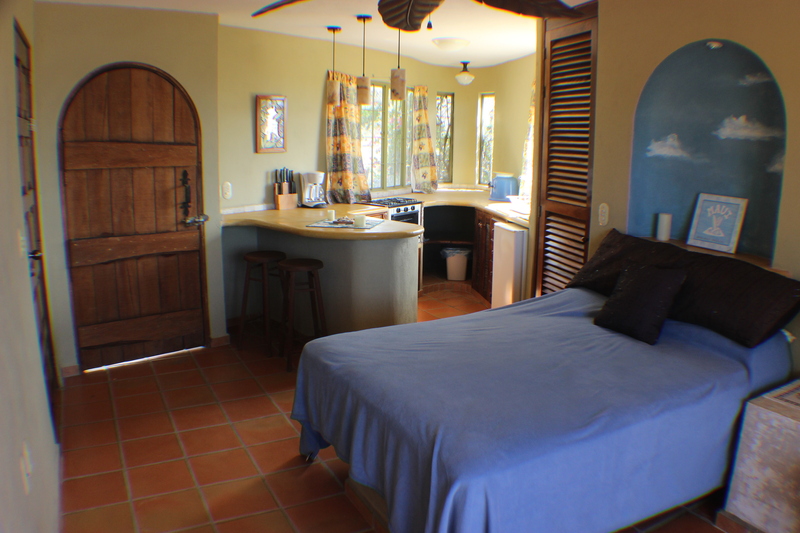 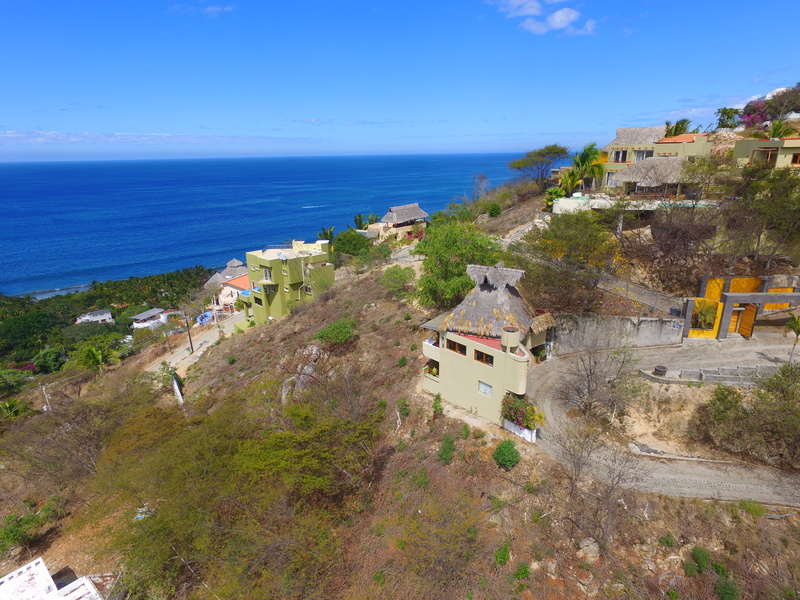 Mirador de las Olas is located on Nanzal Hill, 10 minutes walk from downtown and 4 blocks from the beach. 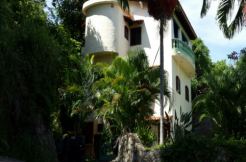 The North side is full of aesthetically pleasing houses. 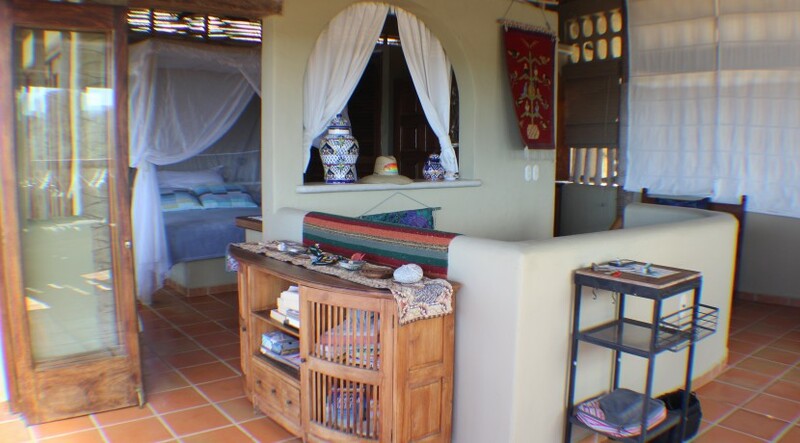 This is the most exclusive yet cozy área in town. 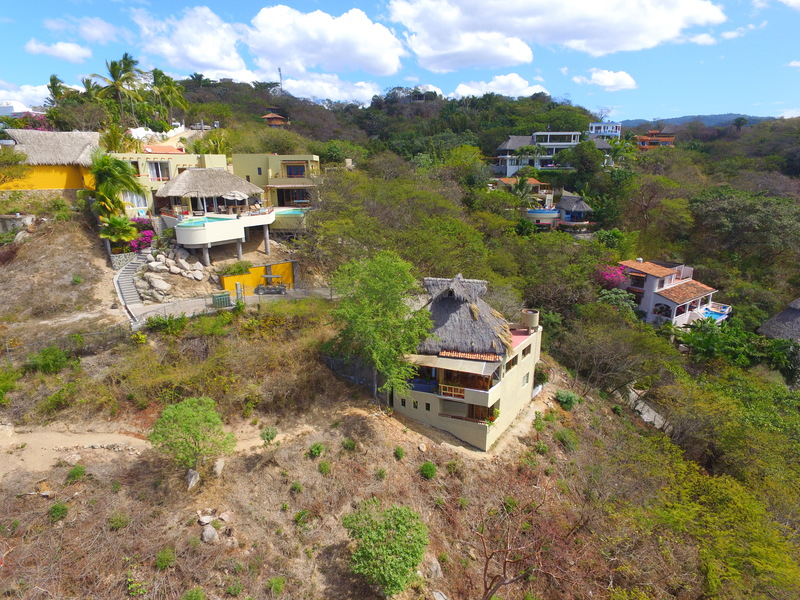 The homes in this área are very neat and clean; yet, it gives you a very calmed and quite vibes even when you are just a few blocks away from downtown. 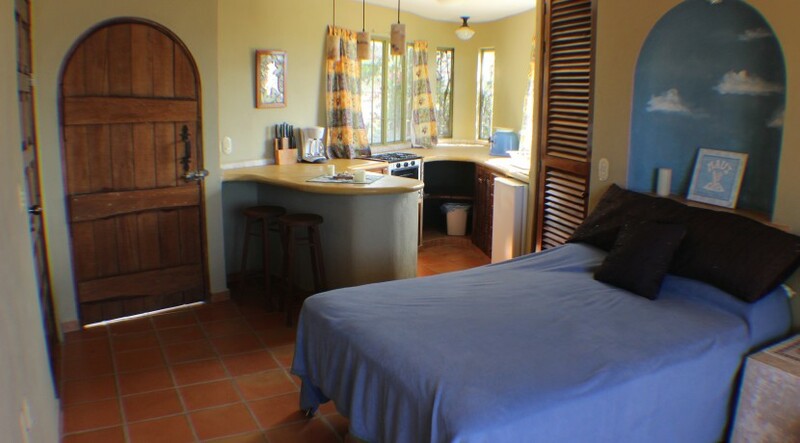 This area has easy access to public transportation, the beach and highways without needing to go through downtown. 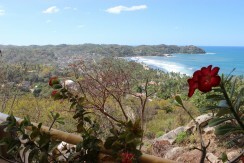 The northside beach is always less crowded than the main beach. 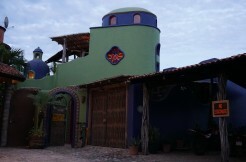 Nanzal área is one of the neighborhoods from the north side. 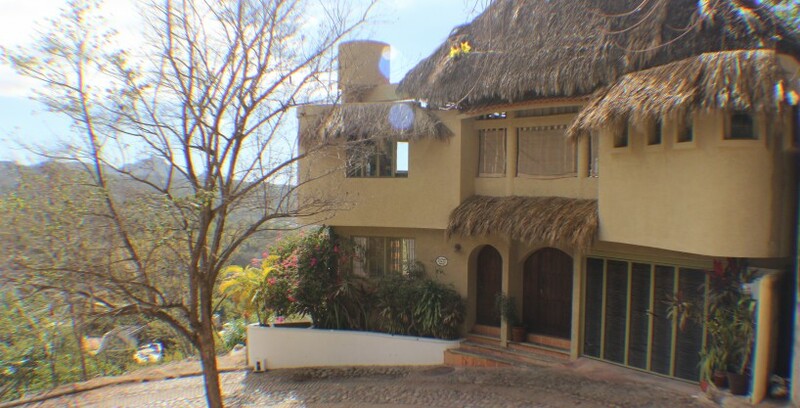 This área a highly desirable location that makes it worth the effort for the right buyer candidate. 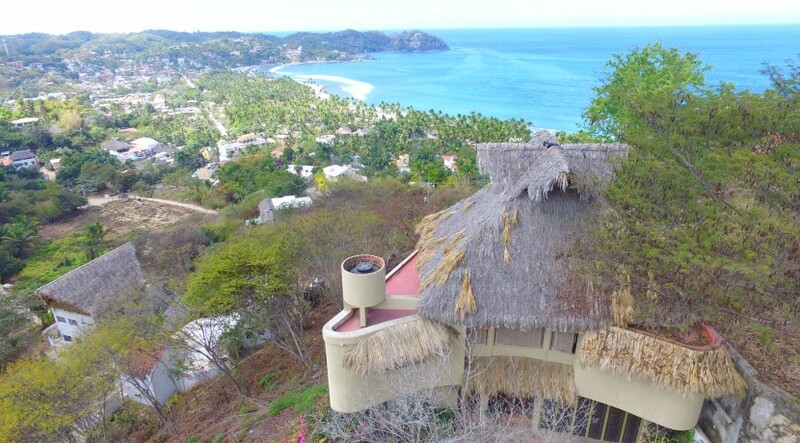 Nanzal is all about the view, sunsets and nature. 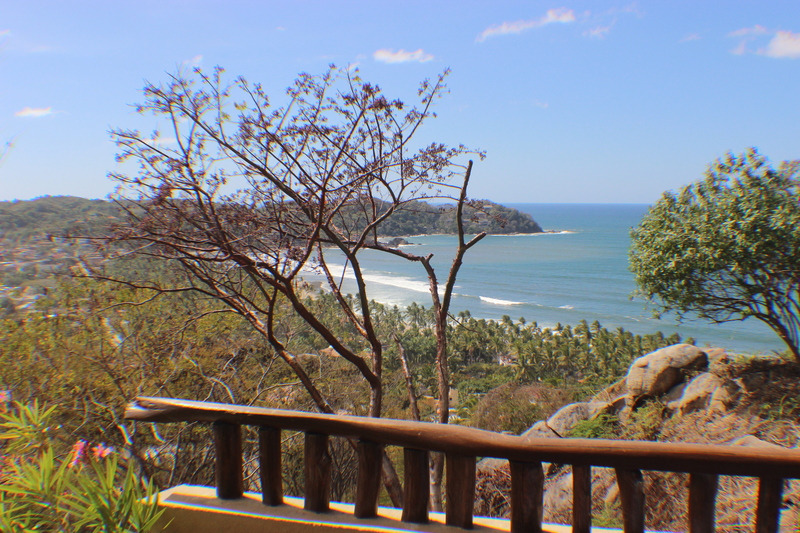 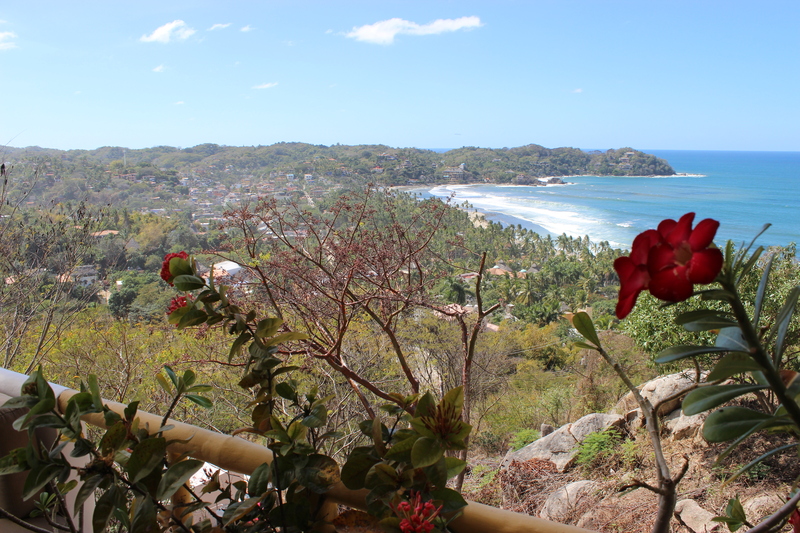 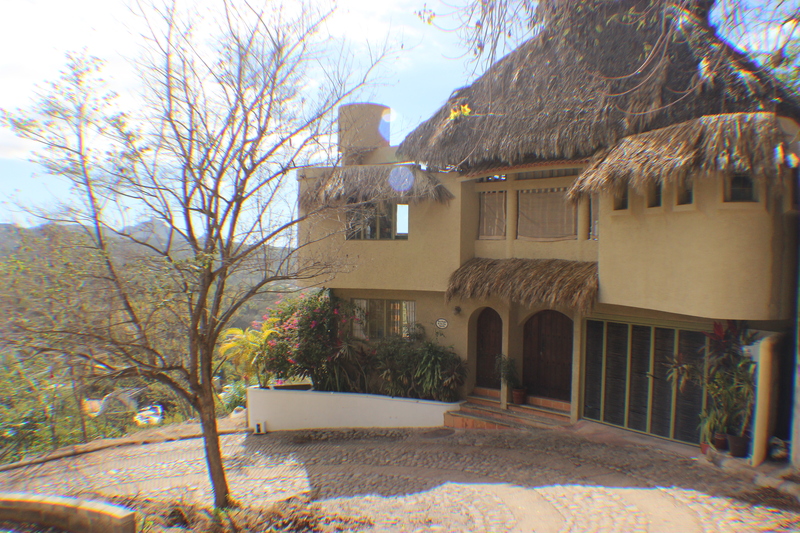 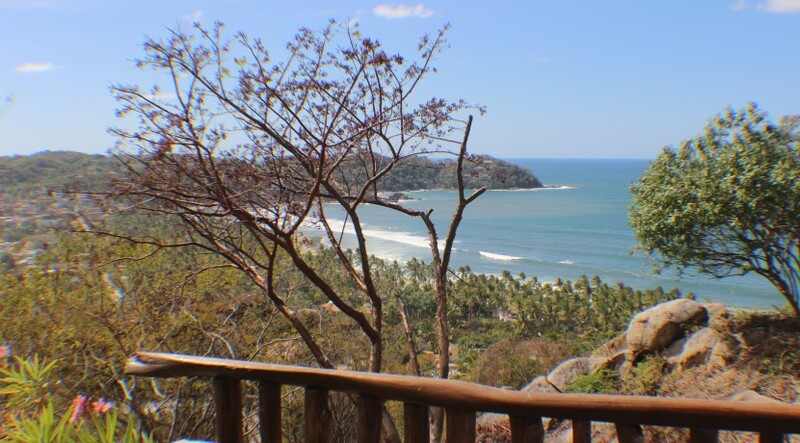 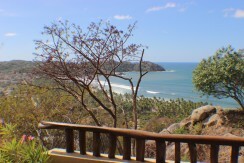 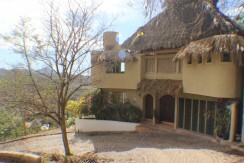 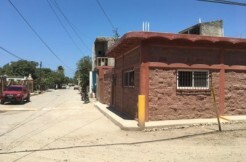 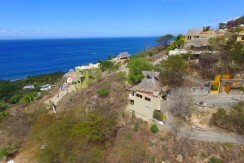 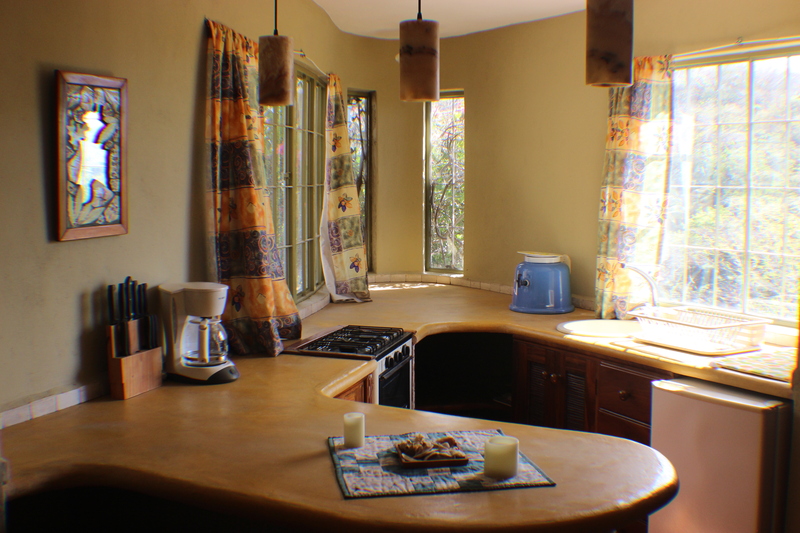 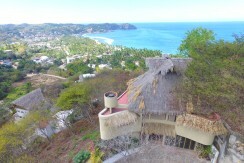 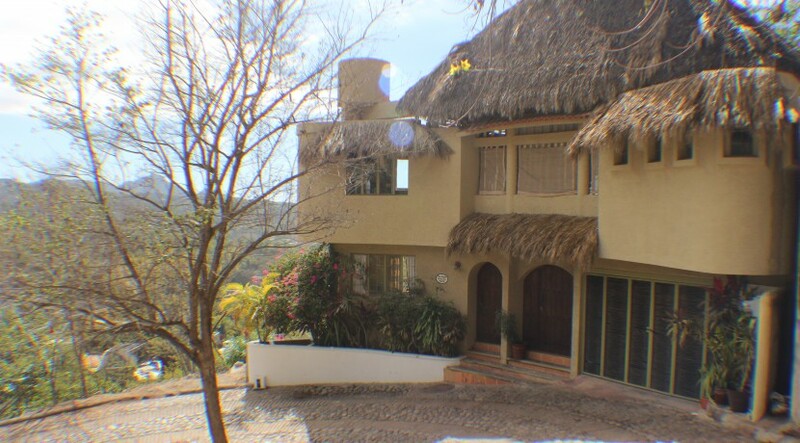 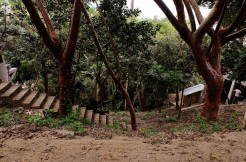 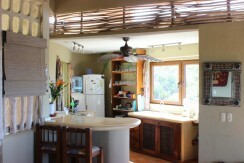 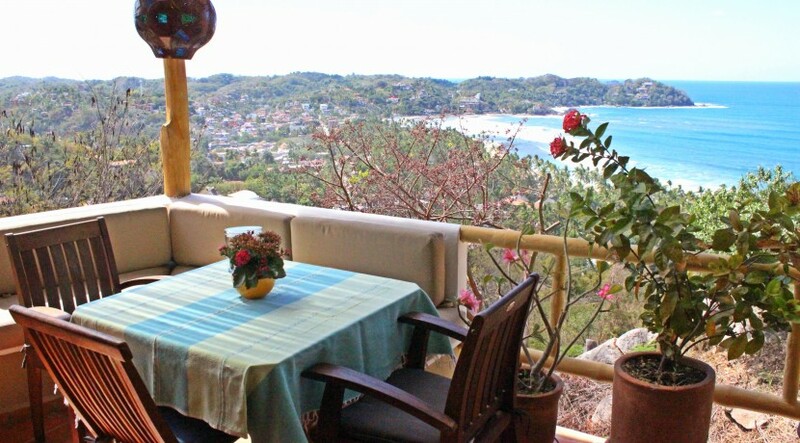 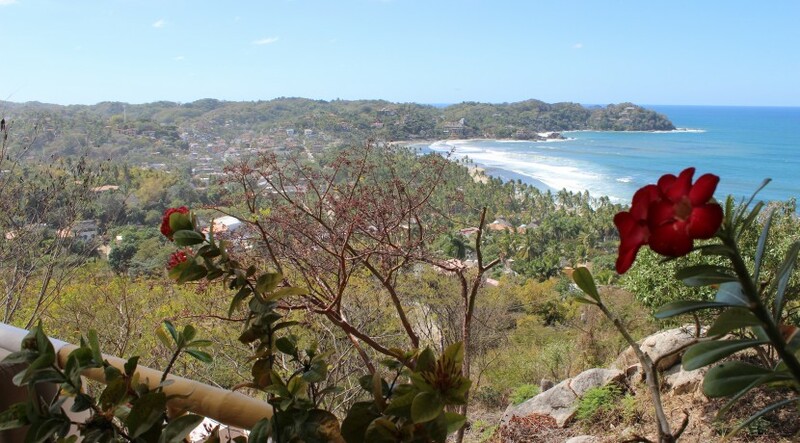 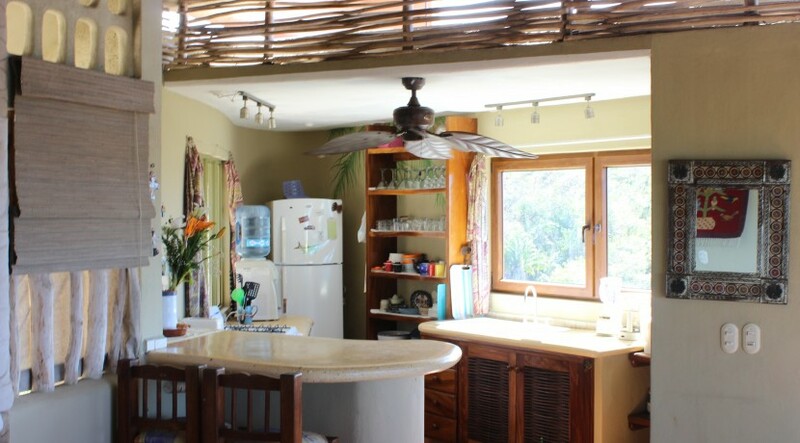 This property sits on 94.92 Square Meters (1,021 Sf) lot, has panoramic views of the sea, coast, and surrounding hills. 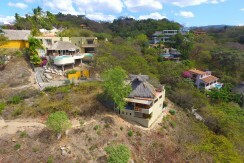 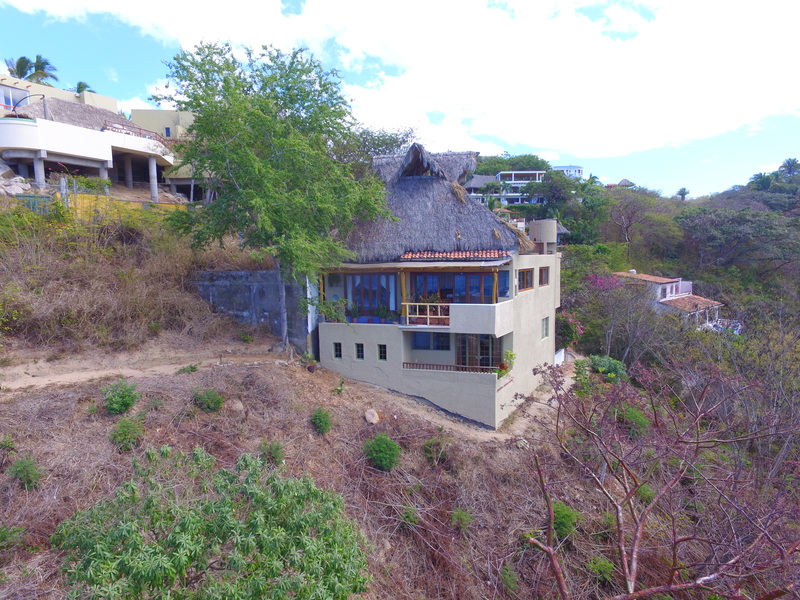 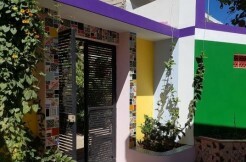 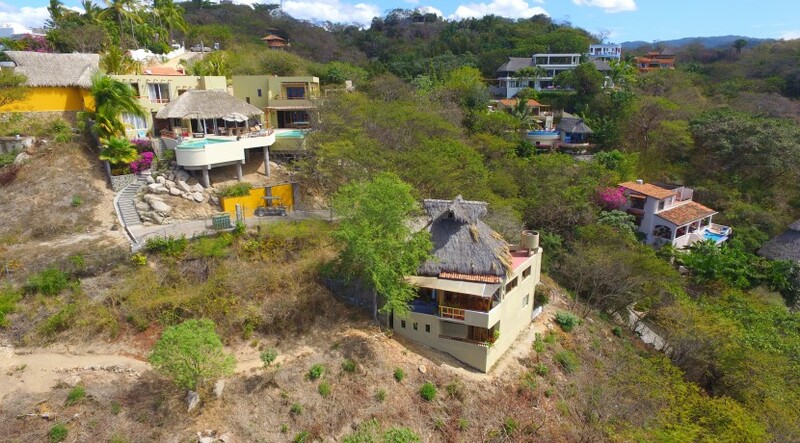 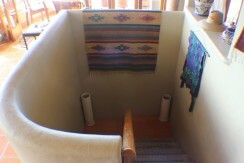 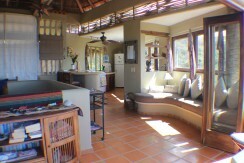 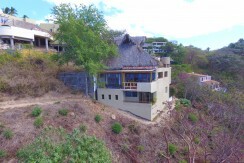 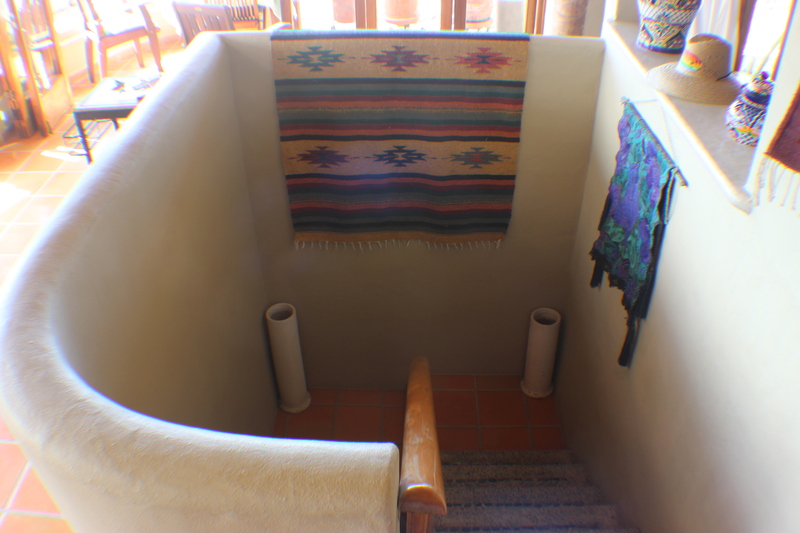 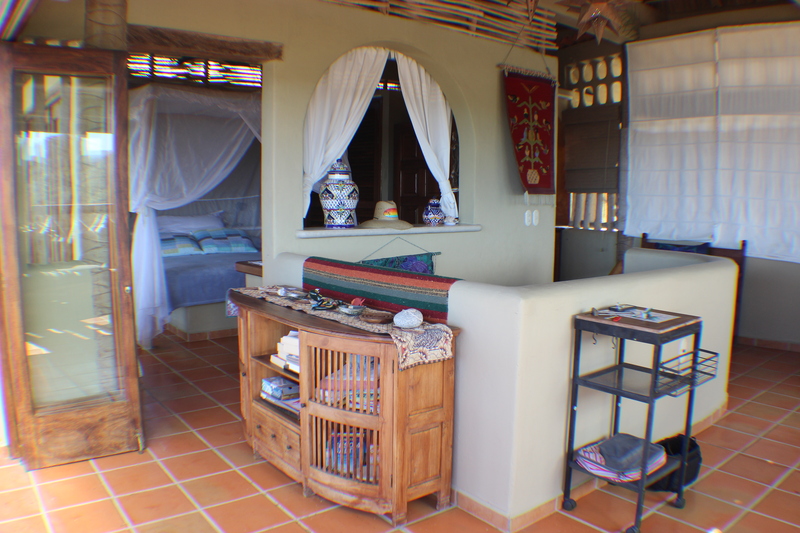 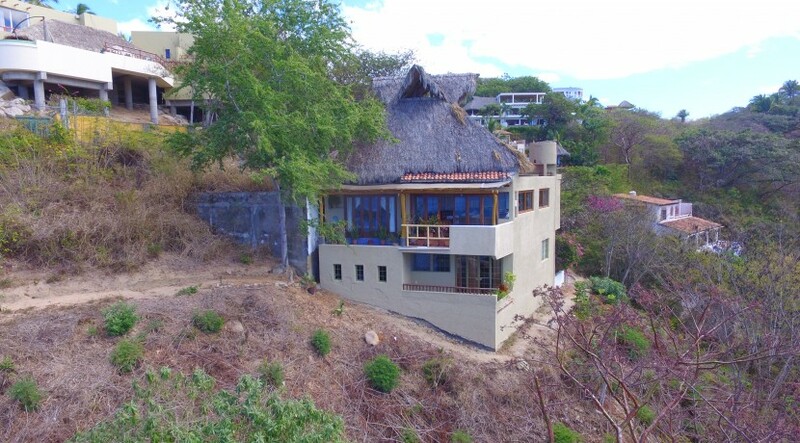 It is an original design by Felipe Villagomez, who created a unique home under a beautifully crafted palapa with an appreciative open air feel with abundant light, views, and space. 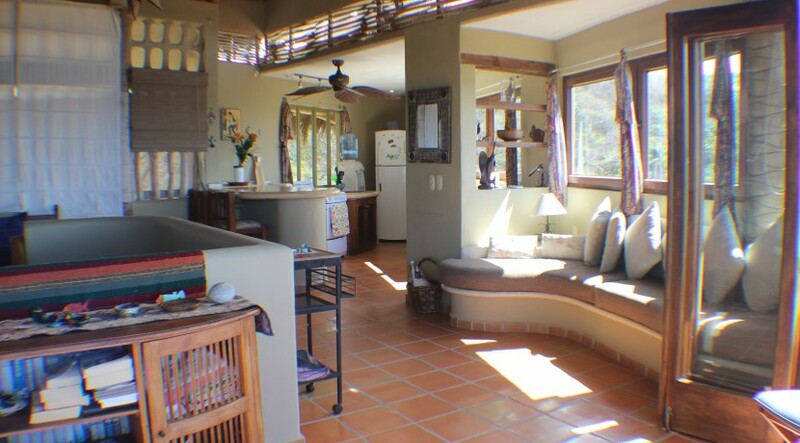 May appear small in size on paper, square-footage wise, but once you physically walk through the property, it feels much more spacious. 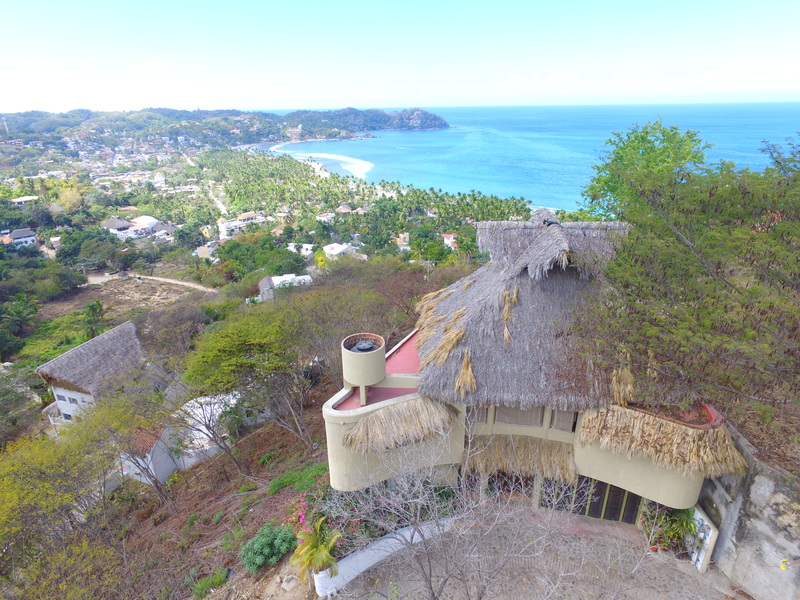 Take pleasure in the expansive views of town, ocean, surf break, mountains, and sunsets while eating, drinking or relaxing near the adjoining plunge pool. 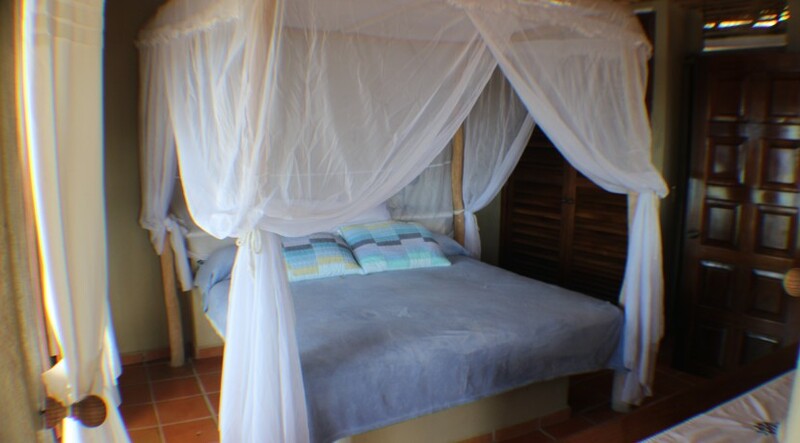 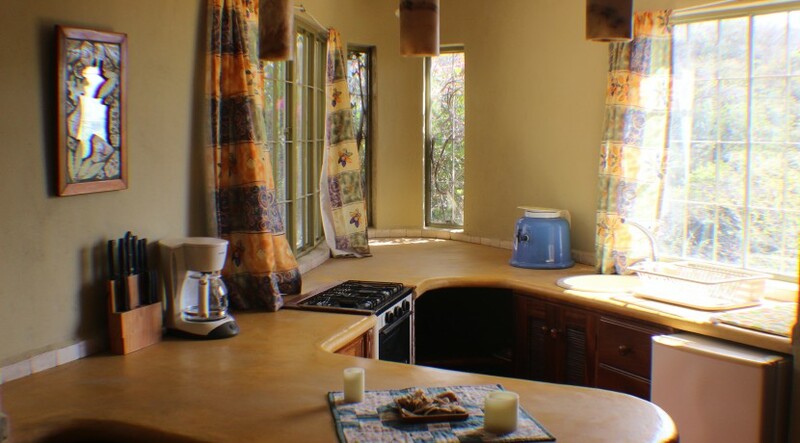 The charming home is two separate units, the upstairs being the main unit with king size bed, shower, sitting room, full size kitchen comes complete equipped with everything one needs. 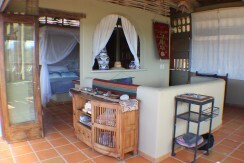 The deck and plunge pool are covered by a pergola and is the center for meals and relaxing while enjoying the views. The downstairs can be a separate efficiency apartment, complete with fully stocked kitchen, double bed, bathroom/shower, and porch with views of sea and coast. 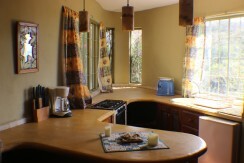 This grants a great rental opportunity for anyone looking a rental place. 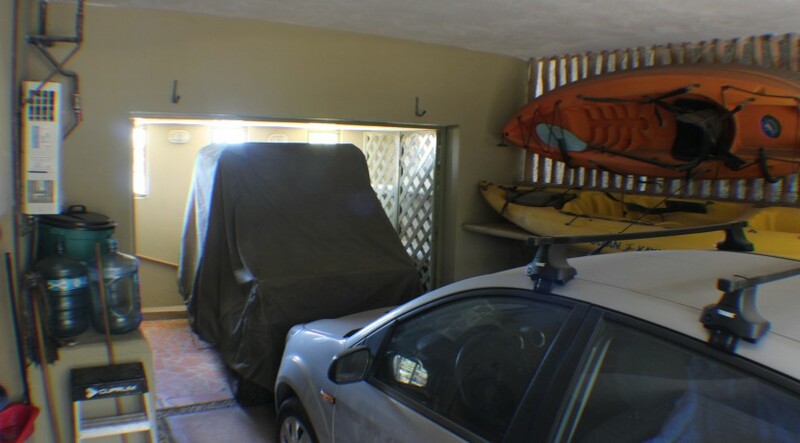 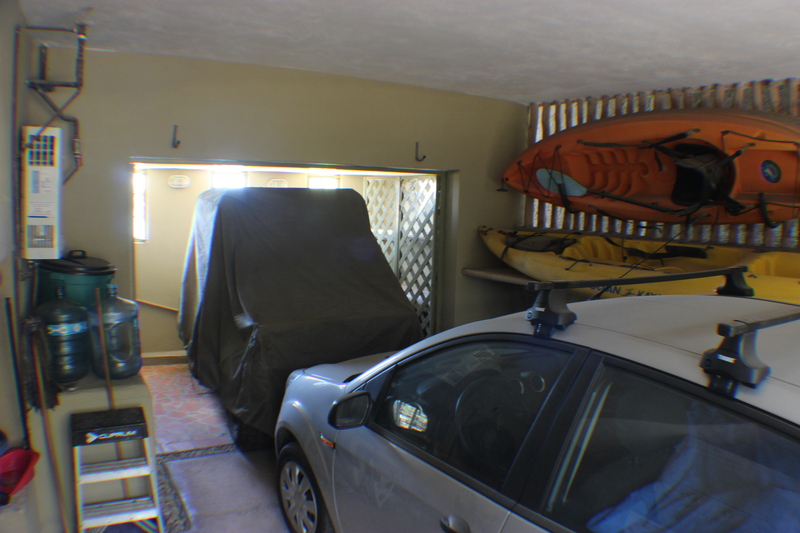 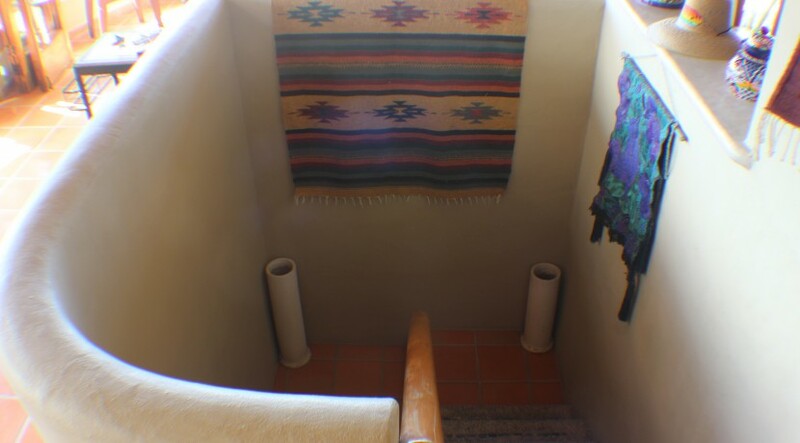 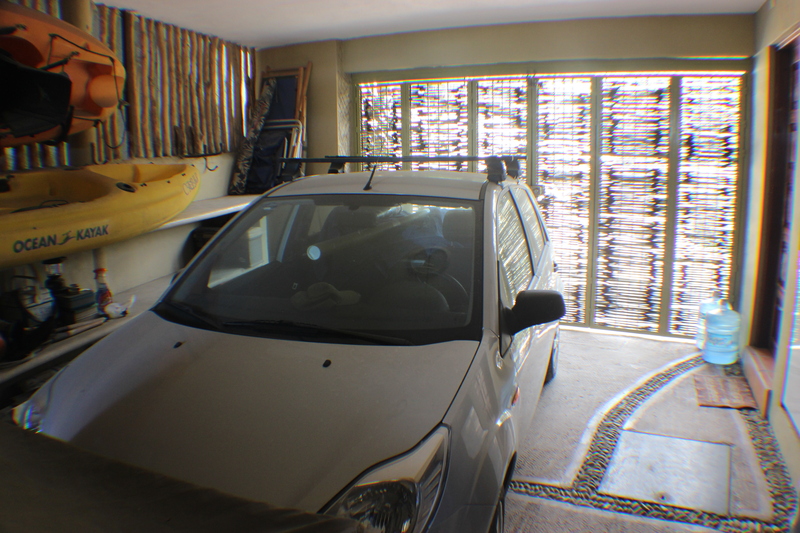 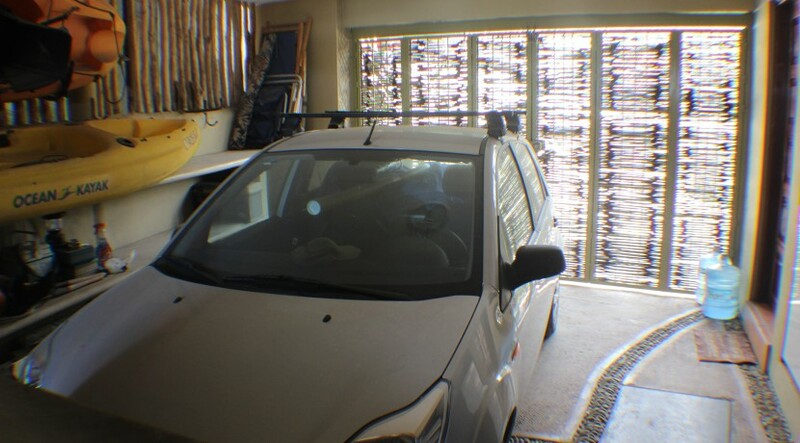 The home has a two car garage (tandem parking), washer/dryer, built in shelves, and loads of storage space for fishing, surfing, and beach equipment included.